When young, children experience life in extremes; whether that results in endless laughter or my-ears-hurt tears. In all of these extremes, there is one overarching constant, they’ll remember those memories, especially if they’re a certain type of extreme. And as a parent, that’s what you want your child to experience: memories they’ll never forget. How can you do that? Thousands of ways, some hard, some easy. We have a way which involves us doing the legwork, getting a playhouse! Children love our playhouses. They bring one type of extreme, joy. The most memorable of extreme. We want to make your process of deciding what playhouse to buy an easy one, so today we’re going to run you through our five best. The Honeysuckle Playhouse shed is perhaps our best due to the modifications you can add to it. 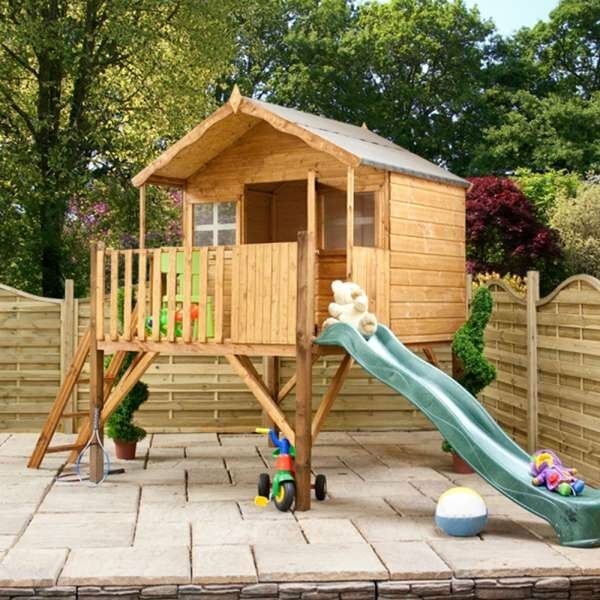 For as little as £700, you can have this playhouse delivered, installed, elevated, and fully equipped for hours of fun. Coming with a slide, ladder, and an undeniably playful aesthetic, we’re sure this is the right piece of equipment to ensure your child has the most joyous of childhood memories. 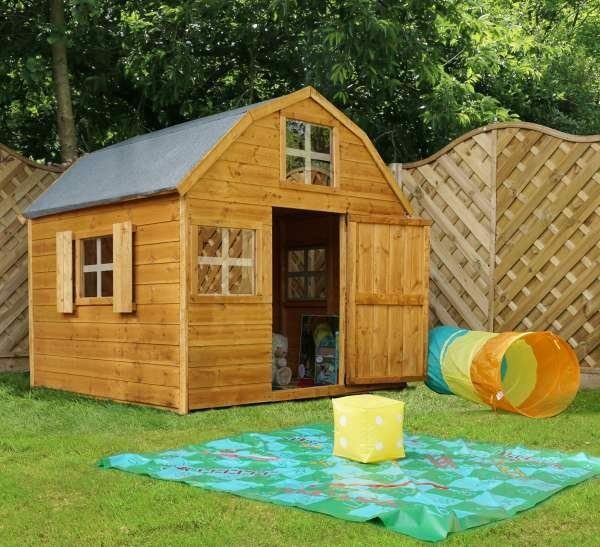 We’re sure this playhouse will make your garden a place of never-ending laughter and mirth. Sheds are so advanced now people are beginning to live in them. That’s true. 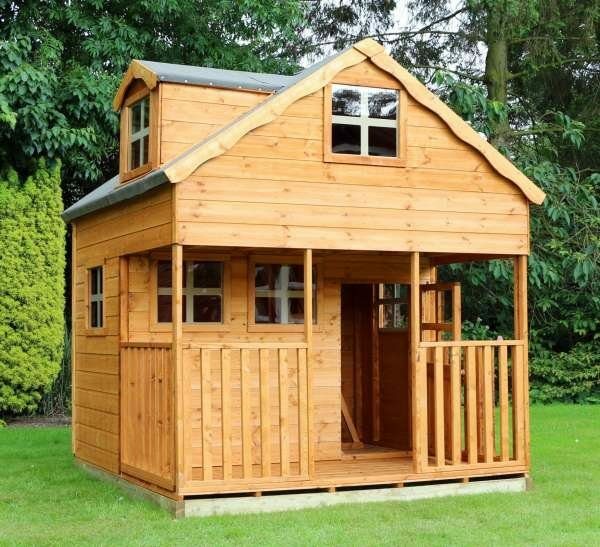 And with a playhouse this good, we think your little ones may want to move in! Hey, at least it would be a bit quieter! This two-storey playhouse will have your child enchanted; its loft area makes for a great den! It’s size also makes it appropriate for multiple children to fit in at once. Got a few whippersnappers? No problem. All for £800. Don’t let the title fool you, this playhouse is a great one. Its size is considerably smaller than the aforementioned, but that’s as it’s our budget option. We believe all parents should be able to afford their children a play utopia, which is why we sell products such as this one! 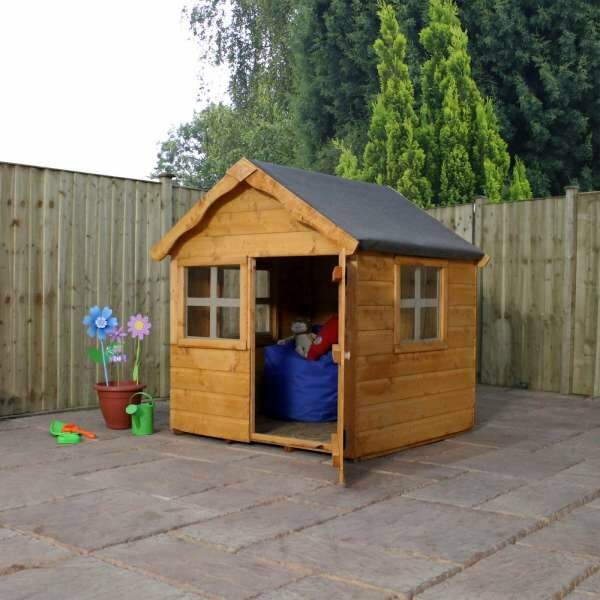 The Snug Playhouse shed prices at £220, which we believe is awfully affordable. The shed itself is a great space for a child’s imagination to roam and grow. And if you did want to add more to this shed, like elevate it and add a slide, we can do it! Let your little young’s brain extend to the wild west where only gunslingers and wildcats survive. This playhouse shed paired with your child’s imagination will open a whole new universe, a universe full of fun and adventure. Coming in at a modest £330, this one doesn’t break the bank whatsoever. With a sheriff’s penitentiary like aesthetic, it really does implore the most fun of play times. Which of course, as stated earlier, are of the joyous extreme nature. Dutch style barns look amazing. There aren’t two ways around that. A fair few of our staff members have our full-sized Dutch Barnhouse shed as the choice for their garden! You could even buy both. Think of the symmetry! This beautiful product comes in at £780. Although pricey, it will afford your child a great deal of fun and it’s a looker too! Our new range ismind-blowingg. 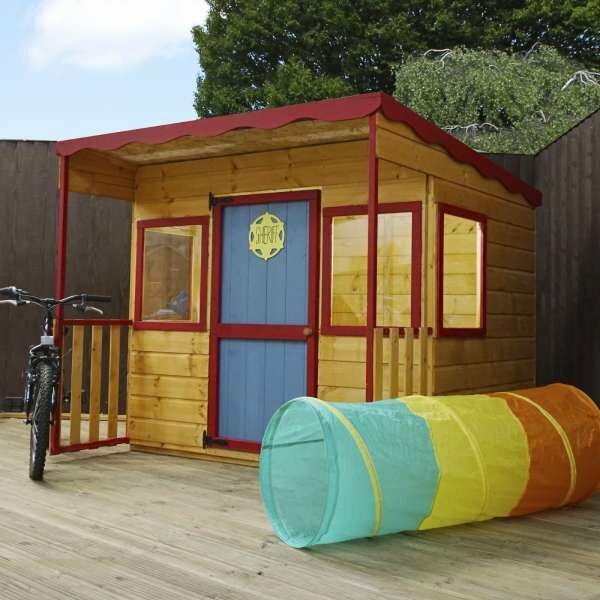 We’ve listed some great playhouses here and we’ve hardly even covered out entire range. If you’d like to talk anything through, like perhaps the installation or about added a slide, give us a call! We’re here patiently waiting.